TFO Chest Packs are cool in hot weather and versitle when deep water wading. Our Chest Packs feature a cool mesh back panel with a series of raised vent pads providing exceptional summer time comfort. Both models come with a molded front drop down pocket and a removable ripple foam fly patch. 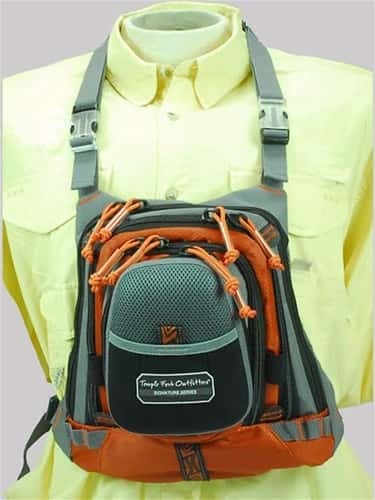 Combine generous storage in assorted pockets, durable fabics, corrosion resistant zippers, adjustable neck/waist straps, TFO quality and you have 2 dependable chest packs to choose from.